Where was I on September 11, 2001? I was at home. At the time, I was building a landscaping business, and on that beautiful Tuesday morning I did not have anyone scheduled. I planned to catch up on paperwork and then go to Gainesville High School to rehearse “Godspell” with Pam Ware’s musical theatre class. A few minutes later, I had a call from GHS asking if I could come to the school. I had already planned to be there for rehearsal, but the school was calling in youth ministers, counselors, and Young Life leaders (which included me) to be with the kids. I spent the rest of the day with the cast in Mrs. Ware’s room. We just sat in her classroom, watching things we didn’t really understand on the television. There was no joking or laughing, and very little conversation. None of us knew what to say, so we just sat with each other. If you are familiar with “Godspell,” you know that the production is subject to some interpretation, especially in regard to set and costuming. It was originally done in clown-like costumes. I’ve seen it done in working-class uniforms, bright high-school clothing (kind of neo-“West Side Story”), homeless garb, and biblical dress. The 2001 GHS production was done in pajamas and Christ’s parables were set in their cultural references from movies, reality shows, game shows, and sitcoms. On 9/11/01, their culture and their lives radically changed, and the tone of that show radically changed with it. 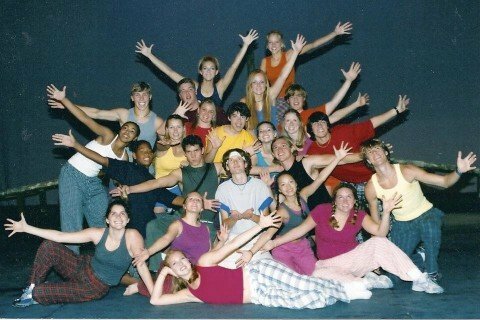 I did “Godspell” with high school students again at the end of April 2011*. For this production, which consisted of an all-male cast, we chose to do the show wearing Marine Corps uniforms. (This concept was not mine. It came from GHS alumnus Parker Couch, who is a fountain of wonderful ideas.) For those of you who are familiar with the show, you understand how this gave it a very different feel. Several of my friends came to see the show, including parents of students in the 2001 production I accompanied at Gainesville High School. The uniforms and the military setting gave it a structure and a sense of community that is sometimes difficult to achieve. I received a lot of feedback about the brilliance of Parker’s concept. Personally, I enjoyed hearing the songs sung by all male voices, too. If you think about it, Jesus’ original band was a “boys club.” As a female, I’m personally grateful to be included in Christ’s grace, but as a former teacher at an all-male school, I appreciate the importance of male bonding. When we finished the production at Riverside, the irony struck me: On the day that I (like most ignorant Americans) was first made aware of Osama bin Laden’s war on my country, I was doing “Godspell” with kids in pajama costumes. They lost a lot of their innocence that day. In the decade since, our country has grown in its respect for those who lay down their lives to protect us. 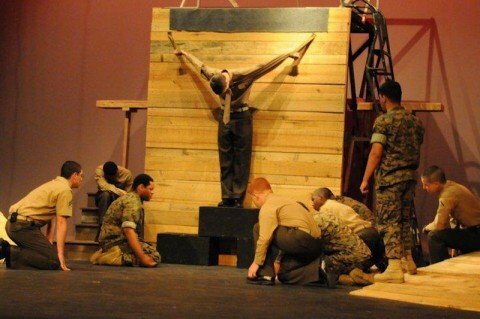 It was out of that respect that we chose to set “Godspell” in USMC uniform ten years later, in 2011. Perhaps it was only a coincidence that Osama bin Laden was eliminated the day after the close of that show, but there was no way I could ignore the bookends of that decade and their blatant settings, from pajamas to protectors. In both events, I couldn’t help but think that the renewal of patriotism, although refreshing, was not enough. I was taught to pledge my allegiance to the republic that allows me to live so comfortably, but I have also been blessed with an understanding that the republic is not enough. Patriotism is not enough. Wars, special operations, political parties and governments cannot repair the deep issues of mankind. As I was processing the country’s reaction to the capture and execution of Osama bin Laden, I was mindful of not only the sacrifice of the men who put themselves in harm’s way to protect my country’s freedom, but also of the sacrifice that made me a daughter of the kingdom of heaven. 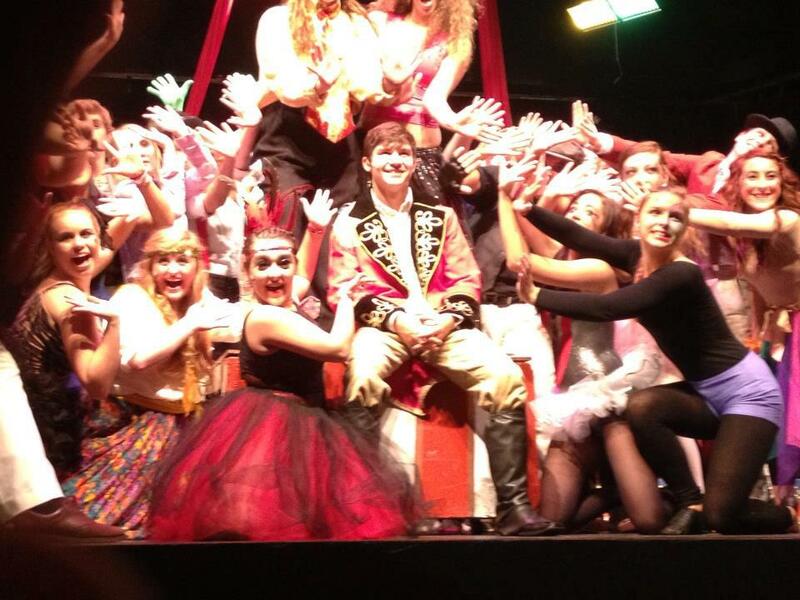 The story of “Godspell” is unapologetically pointed. Yes, it’s about community and the deep need to love one another, but it’s also about how even mankind’s love for each other is not enough. We can’t love each other enough to save ourselves; we must have a savior for that. It’s almost too much to ponder for long. 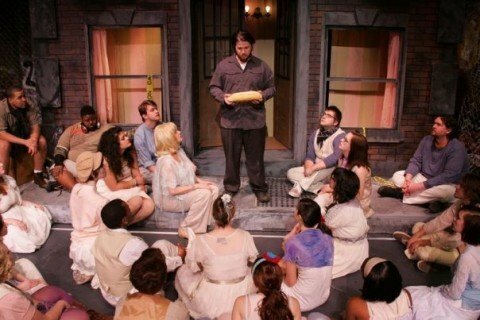 *For what it’s worth, I also did the show with a group of college students in 2010. The costume? Homeless rags. Could I expound on that, too? For sure.